Volbella® is made from hyaluronic acid, a naturally occurring substance in your skin, using a unique patented technology called Vycross®; which allows for a longer-lasting, smoother, more natural looking filler that is easier to inject with less pain, bruising and swelling. 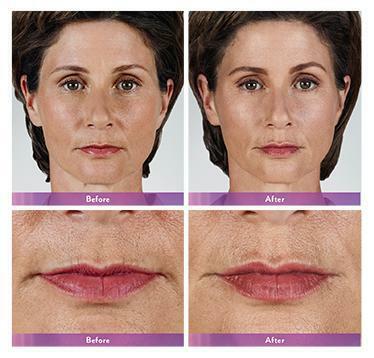 Volbella® can also be used to superficially lift other areas of the face such as the areas around the eyes (perioribital area) for crow’s feet, tear troughs, and hollows under the eyes. Volbella® is pre-mixed with Lidocaine, a numbing agent, there is less pain! While there may be some swelling after injection of Volbella® it usually lasts from one to two days and bruising tends to be rare. Normal activities can be resumed immediately after treatment. Actual patient. Result May Vary. Unretouched photos taken before treatment and one month after treatment. A total of 1.75 mL of JUVERDERM VOLBELLA XC was injected.